Anthony Verdugo, head of the hate group Christian Family Coalition is going to pitch a fit. At this afternoon's meeting, the Palm Beach County Board of County Commissioners directed the county attorney to draft an ordinance to prohibit conversion therapy on minors throughout the county. The ban would apply to doctors, osteopaths, psychologists, psychiatrists, social workers, marriage or family therapists and licensed counselors. However, it would not apply to members of the clergy unless the are also state-licensed mental health professionals. Conversion therapy, also known as reparative therapy, or sexual orientation change efforts (SOCE), encompasses a range of discredited counseling practices by which health care providers or counselors seek to change a person's sexual orientation, gender identity, or gender expression through aversion treatment. The action was taken at the request of the Palm Beach County Human Rights Council (PBCHRC), the county's most effective civil rights organization. Over the past 29 years, the independent non-profit organization has succeeded in having local public officials enact more than 120 laws and policies providing equal rights, benefits and protection for the lesbian, gay, bisexual and transgender (LGBTQ) community. To date, PBCHRC has been responsible for the enactment of conversion therapy bans in West Palm Beach, Lake Worth, Boynton Beach, Delray Beach, Riviera Beach, Wellington and Greenacres. PBCHRC Board Member Trent Steele, who has been spearheading the campaign to ban conversion therapy in Palm Beach County, focused on the need to protect children from practitioners of conversion therapy. "Children are often forced into conversion therapy by parents who find it impossible to accept the fact that their children identify as gay or lesbian," said Steele. "This so-called therapy has been shown pose serious dangers to children." Lake Worth Vice Mayor Pro Tem Andy Amoroso, who is openly gay, has urged elected officials throughout Palm Beach County to enact ordinances to put an end to conversion therapy on minors by licensed practitioners. "There is no credible scientific evidence that conversion therapy can change a person's sexual orientation or gender identity," said Amoroso. PBCHRC is partnering with the National Center for Lesbian Rights and the Southern Poverty Law Center. Both organizations have been successful in their efforts to protect minors from being subjected to the harms caused by conversion therapy. "Conversion therapy is an extremely dangerous and fraudulent practice that claims to change an individual's sexual orientation or gender identity," said Scott McCoy, senior policy counsel for the Southern Poverty Law Center. "This bogus practice is premised on the lie that LGBTQ individuals have a 'condition' that needs to be cured. This afternoon, the Palm Berach County Commission took a step in the right direction by directing staff to enact an ordinance to ban this harmful practice on minors throughout Palm Beach County. The commission has sent a message to LGBTQ youth: 'You are perfect the way you are and do not need to be 'fixed.'" Dr. Rachel Needle, a licensed psychologist who has spoken out at public hearings on similar ordinances being considered in South Florida states that the practice of conversion therapy is based on two false premises. "First, it is based on the falsehood that being gay, lesbian or transgender is a mental disorder or defect that needs to be cured," said Needle. "And second, it is based on the presumption that being LGBTQ is something that can actually be changed through therapy." Needle, who is also an adjunct professor at Nova Southeastern University, noted that the potential risks of conversion therapy on children include shame, guilt, depression, decreased self-esteem, increased self-hatred, feelings of anger and betrayal, loss of friends, social withdrawal, problems in sexual and emotional intimacy, hostility and blame towards parents, high risk behaviors, confusion, self-harm, substance abuse and suicidal ideation. "Any ethical mental health practitioner should not attempt to cure or repair gender identity or sexual orientation through these scientifically invalid techniques," Needle stated. "Attempting to change someone's sexual orientation or gender identity can have a devastating impact on a minor." County Commissioner Mary Lou Berger brought the ordinance forward on behalf of PBCHRC. "Young people should be able to grow up knowing they are loved unconditionally, where they can be open with their parents and family members." said said retired Judge Rand Hoch, PBCHRC's President and Founder. "Elected officials have a compelling interest in protecting children. Indeed, they have broad authority to do so." Palm Beach County activists have been in the forefront on opposing conversion therapy for many years. In November, 2009, more than 100 demonstrators turned out to protest the NARTH conference in West Palm Beach at which conference organizers held workshops to train therapists how to convert LGBTQ individuals to become heterosexuals. "The discredited practice of conversion therapy has long been rejected by virtually all of our nation's major medical, psychiatric, psychological and professional and mental health organizations," said Hoch. "Instilling self-hatred in children is not therapy." Nearly every major medical and psychological association in the country has come out in opposition to conversion therapy. These include the American Academy of Child Adolescent Psychiatry, the American Academy of Pediatrics, the American Association for Marriage and Family Therapy, the American College of Physicians, the American Counseling Association, the American Medical Association, the American Psychiatric Association, the American Psychoanalytic Association, the American Psychoanalytic Association, the American School Health Association, the National Association of School Psychologists, the Pan American Health Organization, the Regional Office of the World Health Organization and the World Psychiatric Association. In August 2009, the American Psychological Association adopted the "Resolution on Appropriate Affirmative Responses to Sexual Orientation Distress and Change Efforts," which found that the soc-called reparative treatment relied entirely on anti-LGBTQ bigotry and a clear distortion of scientific data. "The American Psychological Association has linked conversion therapy to depression, substance abuse and even suicide, and these risks are particularly acute for youth," said Carolyn Reyes, Youth Policy Counsel and Coordinator of NCLR's BornPerfect Campaign to end conversion therapy "We applaud the efforts by the Commission to ensure that the children of Wellington are protected from these harms, and that their families aren't duped by trusted professionals to whom they turn for support during a vulnerable time." In addition, conversion therapy has been soundly rejected by the American Association of School Administrators, the American Federation of Teachers, the American School Counselor Association, the National Association of Social Workers, the National Association of Secondary School Principals, the National Education Association and the School Social Work Association of America. In Florida, West Palm Beach, Lake Worth, Boynton Beach, Delray Beach, Riviera Beach, Miami, Wilton Manors, Miami Beach, Bay Harbor Islands, El Portal, Key West and Tampa have enacted conversion therapy bans for minors. Last June, the Miami-Dade County Commissioners voted unanimously on First Reading to enact an ordinance banning conversion therapy on minors throughout unincorporated Miami-Dade County. Final Reading is set for October 3. Last week, Oakland Park City Commissioners also directed staff to draft an ordinance banning conversion therapy throughout the city. According to an Orlando Political Observer-Gravis Marketing poll of 1,243 Florida voters conducted April 4 through April 10, 71% think conversion therapy should be illegal for minors in Florida, 18% were uncertain and only 11% thought conversion therapy should be legal. The poll has a margin of error of 2.8%. The Wellington (pop.62,560) ban on conversion therapy - and all of the similar bans enacted to date - applies only to state-licensed therapists. Unlicensed therapists, such as those associated with faith-based groups, retain their religious freedom to engage in such work. Additionally, adults remain free to seek out conversion therapy. Although there have been several court challenges to the constitutionality of banning conversion therapy, all have failed. On four occasions, most recently on May 1, 2017, the U.S. Supreme Court has declined to hear challenges to the constitutionality laws banning conversion therapy for minors. 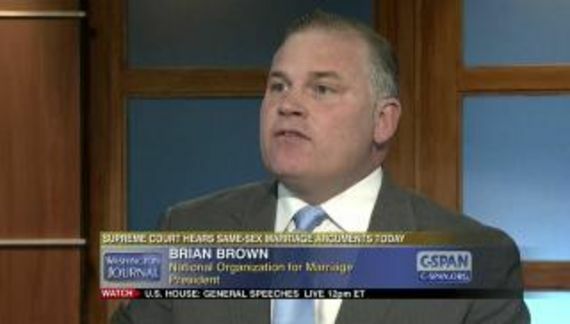 In addition, the National Center for Lesbian Rights, the Southern Poverty Law Center and the Human Rights Campaign (a Washington, DC-based LGBTQ rights organization which is not affiliated with PBCHRC) filed a federal consumer fraud complaint with the Federal Trade Commission seeking to ban conversion therapy nationwide. In late April, the Therapeutic Fraud Prevention Act of 2017 was introduced in Congress to crack down on conversion therapy. More than 70 members of Congress have gone on record in support of the bill. If enacted, the law would make sexual orientation change efforts illegal under the Federal Trade Commission Act and classify advertising these services or providing them in exchange for monetary compensation as fraudulent, unfair, and deceptive. The bill would also explicitly clarify that the Federal Trade Commission has the duty to enforce this provision and would further provide state attorneys general the authority to enforce it in federal court. For the third year in a row, State Senator Jeff Clemens (D-Atlantis) has introduced a bill to prohibit conversion therapy statewide. However, the Florida Senate refused to take action on the bills in 2016 and 2017, and is unlikely to do so in the 2018 legislative session. "It is frustrating that legislative leaders in Tallahassee refuse to move forward on banning conversion therapy," said Berger. "However, until a statewide ban on conversion therapy is enacted, we are taking going to do all we can to protect LGBTQ youth here in Palm Beach County."